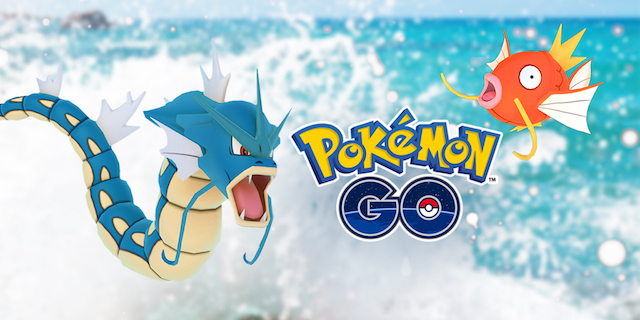 Niantic is celebrating Water-type Pokemon in Pokemon Go with a limited-time Water Festival, which will give players a better chance of encountering certain Water-type Pokemon while playing the game. The Water Festival will begin Wednesday (March 22) at 1 p.m. PT/4 p.m. ET, and it will run through March 29. During this event, players around the world will be more likely to encounter Magikarp, Squirtle, Totodile and their evolutions while playing. In addition, when users are near areas where Water-type Pokemon are already more common, they’ll have a greater chance of encountering “several” of the Water-type Pokemon introduced in the Johto region update earlier this year. On top of this, players will have access to a new accessory for their in-game avatars: the Magikarp Hat. The Water Festival is the game’s second update this week. The first added a random Evolution item to the rewards players will receive each time they reach a seven-day “First PokeStop of the Day” streak. Pokemon Go is available to download for free on the iTunes App Store and Google Play. The game has been downloaded more than 650 million times. During a keynote speech at the recent Mobile World Congress in Barcelona, John Hanke, CEO of Niantic, revealed Pokemon Go has driven more than 500 million visits to sponsored in-game PokeStops, such as Sprint stores and Starbucks restaurants. Users are encouraged to visit these real-world locations to receive virtual items within the game. Other companies have also attempted to capitalize on the game’s success. For instance, yogurt brand Stonyfield launched an advertising campaign last year that targeted 10,000 PokeStops and was designed to show users near those locations Pokemon Go-themed ads when they opened applications like weather and messaging apps.